Nicolas De Santis, CEO of Corporate Vision and founder of the BRAND EU Centre (www.brandeu.eu), talked to CNBC about Brexit and the weak brand of the European Union. He told CNBC in London that Brexit, as a word, does not mean anything anymore as leaving the EU covers a very long timeframe, thousands of areas, immense legal issues and key citizen rights issues. His view is that many of the areas involved in Brexit can never be fully resolved in a globalised, interdependent world. “I think that a full Brexit will never happen” and soon we will see its terrible effects on the UK economy. Whatever happens now, will not be a full Brexit but arrangements and patches that will never be as good as being a full member of the EU. This, basically means that unless Brexit is stopped, the UK government will spend the next decade focused on carrying on the result of the EU referendum, instead of focusing on resolving more pressing national and global issues or building the future. The UK Government has become a slave to itself”, he said. 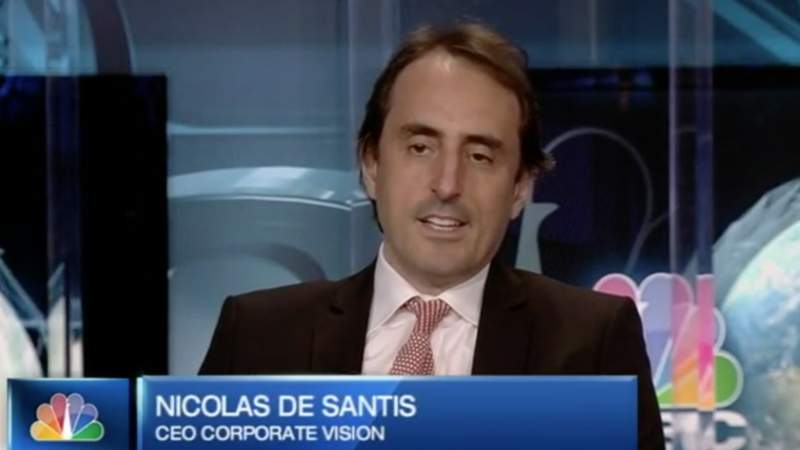 De Santis also believes that the only way out of this situation is to have a new EU referendum. “I believe that as time progresses people will realise that leaving the EU is a utopia reserved for people that still believe that sovereignty in Europe (or elsewhere) is better protected by protectionism rather than full collaboration, cooperation and the sharing of sovereignty. We also have to remember that politicians in UK also lied to people during the EU referendum carrying out a ‘character assassination of the EU’ and its true role in bringing peace and prosperity to Europe and the world”. De Santis explained that the EU did not defend itself properly during the EU referendum and that its weak brand continues to be disconnected from the EU citizens it represents. “Until the EU has a clear ‘strategic’ vision and a ‘friendly’ brand that connects with its citizens, the EU will always remain a project of the ‘elites’ and an easy target for national politicians to attack”, De Santis said.